There are hosts of people who journey like restless spirits round and about this earth in search of seascapes and landscapes and the wonders and beauties of nature. They overrun Europe in armies; they can be met in droves and herds in Florida and the West Indies, at the Pyramids, and on the slopes and summits of the Canadian and American Rockies; but in the House of the Sun they are as rare as live and wriggling dinosaurs. Haleakala is the Hawaiian name for “the House of the Sun.” It is a noble dwelling, situated on the island of Maui; but so few tourists have ever peeped into it, much less entered it, that their number may be practically reckoned as zero. Yet I venture to state that for natural beauty and wonder the nature-lover may see dissimilar things as great as Haleakala, but no greater, while he will never see elsewhere anything more beautiful or wonderful. Honolulu is six days’ steaming from San Francisco; Maui is a night’s run on the steamer from Honolulu; and six hours more if he is in a hurry, can bring the traveller to Kolikoli, which is ten thousand and thirty-two feet above the sea and which stands hard by the entrance portal to the House of the Sun. Yet the tourist comes not, and Haleakala sleeps on in lonely and unseen grandeur. Not being tourists, we of the Snark went to Haleakala. On the slopes of that monster mountain there is a cattle ranch of some fifty thousand acres, where we spent the night at an altitude of two thousand feet. The next morning it was boots and saddles, and with cowboys and pack-horses we climbed to Ukulele, a mountain ranch house, the altitude of which, fifty-five hundred feet, gives a severely temperate climate, compelling blankets at night and a roaring fireplace in the living-room. Ukulele, by the way, is the Hawaiian for “jumping flea” as it is also the Hawaiian for a certain musical instrument that may be likened to a young guitar. It is my opinion that the mountain ranch-house was named after the young guitar. We were not in a hurry, and we spent the day at Ukulele, learnedly discussing altitudes and barometers and shaking our particular barometer whenever any one’s argument stood in need of demonstration. Our barometer was the most graciously acquiescent instrument I have ever seen. Also, we gathered mountain raspberries, large as hen’s eggs and larger, gazed up the pasture-covered lava slopes to the summit of Haleakala, forty-five hundred feet above us, and looked down upon a mighty battle of the clouds that was being fought beneath us, ourselves in the bright sunshine. Every day and every day this unending battle goes on. Ukiukiu is the name of the trade-wind that comes raging down out of the northeast and hurls itself upon Haleakala. Now Haleakala is so bulky and tall that it turns the north-east trade-wind aside on either hand, so that in the lee of Haleakala no trade-wind blows at all. On the contrary, the wind blows in the counter direction, in the teeth of the northeast trade. This wind is called Naulu. And day and night and always Ukiukiu and Naulu strive with each other, advancing, retreating, flanking, curving, curling, and turning and twisting, the conflict made visible by the cloud-masses plucked from the heavens and hurled back and forth in squadrons, battalions, armies, and great mountain ranges. Once in a while, Ukiukiu, in mighty gusts, flings immense cloud-masses clear over the summit of Haleakala; whereupon Naulu craftily captures them, lines them up in new battle-formation, and with them smites back at his ancient and eternal antagonist. Then Ukiukiu sends a great cloud-army around the eastern-side of the mountain. It is a flanking movement, well executed. But Naulu, from his lair on the leeward side, gathers the flanking army in, pulling and twisting and dragging it, hammering it into shape, and sends it charging back against Ukiukiu around the western side of the mountain. And all the while, above and below the main battlefield, high up the slopes toward the sea, Ukiukiu and Naulu are continually sending out little wisps of cloud, in ragged skirmish line, that creep and crawl over the ground, among the trees and through the canyons, and that spring upon and capture one another in sudden ambuscades and sorties. And sometimes Ukiukiu or Naulu, abruptly sending out a heavy charging column, captures the ragged little skirmishers or drives them skyward, turning over and over, in vertical whirls, thousands of feet in the air. But it is on the western slopes of Haleakala that the main battle goes on. Here Naulu masses his heaviest formations and wins his greatest victories. Ukiukiu grows weak toward late afternoon, which is the way of all trade-winds, and is driven backward by Naulu. Naulu’s generalship is excellent. All day he has been gathering and packing away immense reserves. As the afternoon draws on, he welds them into a solid column, sharp-pointed, miles in length, a mile in width, and hundreds of feet thick. This column he slowly thrusts forward into the broad battle-front of Ukiukiu, and slowly and surely Ukiukiu, weakening fast, is split asunder. But it is not all bloodless. At times Ukiukiu struggles wildly, and with fresh accessions of strength from the limitless northeast, smashes away half a mile at a time of Naulu’s column and sweeps it off and away toward West Maui. Sometimes, when the two charging armies meet end-on, a tremendous perpendicular whirl results, the cloud-masses, locked together, mounting thousands of feet into the air and turning over and over. A favourite device of Ukiukiu is to send a low, squat formation, densely packed, forward along the ground and under Naulu. When Ukiukiu is under, he proceeds to buck. Naulu’s mighty middle gives to the blow and bends upward, but usually he turns the attacking column back upon itself and sets it milling. And all the while the ragged little skirmishers, stray and detached, sneak through the trees and canyons, crawl along and through the grass, and surprise one another with unexpected leaps and rushes; while above, far above, serene and lonely in the rays of the setting sun, Haleakala looks down upon the conflict. And so, the night. But in the morning, after the fashion of trade-winds, Ukiukiu gathers strength and sends the hosts of Naulu rolling back in confusion and rout. And one day is like another day in the battle of the clouds, where Ukiukiu and Naulu strive eternally on the slopes of Haleakala. Again in the morning, it was boots and saddles, cowboys, and packhorses, and the climb to the top began. One packhorse carried twenty gallons of water, slung in five-gallon bags on either side; for water is precious and rare in the crater itself, in spite of the fact that several miles to the north and east of the crater-rim more rain comes down than in any other place in the world. The way led upward across countless lava flows, without regard for trails, and never have I seen horses with such perfect footing as that of the thirteen that composed our outfit. They climbed or dropped down perpendicular places with the sureness and coolness of mountain goats, and never a horse fell or baulked. There is a familiar and strange illusion experienced by all who climb isolated mountains. The higher one climbs, the more of the earth’s surface becomes visible, and the effect of this is that the horizon seems uphill from the observer. This illusion is especially notable on Haleakala, for the old volcano rises directly from the sea without buttresses or connecting ranges. In consequence, as fast as we climbed up the grim slope of Haleakala, still faster did Haleakala, ourselves, and all about us, sink down into the centre of what appeared a profound abyss. Everywhere, far above us, towered the horizon. The ocean sloped down from the horizon to us. The higher we climbed, the deeper did we seem to sink down, the farther above us shone the horizon, and the steeper pitched the grade up to that horizontal line where sky and ocean met. It was weird and unreal, and vagrant thoughts of Simm’s Hole and of the volcano through which Jules Verne journeyed to the centre of the earth flitted through one’s mind. And then, when at last we reached the summit of that monster mountain, which summit was like the bottom of an inverted cone situated in the centre of an awful cosmic pit, we found that we were at neither top nor bottom. Far above us was the heaven-towering horizon, and far beneath us, where the top of the mountain should have been, was a deeper deep, the great crater, the House of the Sun. Twenty-three miles around stretched the dizzy wells of the crater. We stood on the edge of the nearly vertical western wall, and the floor of the crater lay nearly half a mile beneath. This floor, broken by lava-flows and cinder-cones, was as red and fresh and uneroded as if it were but yesterday that the fires went out. The cinder-cones, the smallest over four hundred feet in height and the largest over nine hundred, seemed no more than puny little sand- hills, so mighty was the magnitude of the setting. Two gaps, thousands of feet deep, broke the rim of the crater, and through these Ukiukiu vainly strove to drive his fleecy herds of trade-wind clouds. As fast as they advanced through the gaps, the heat of the crater dissipated them into thin air, and though they advanced always, they got nowhere. It was a scene of vast bleakness and desolation, stern, forbidding, fascinating. We gazed down upon a place of fire and earthquake. The tie-ribs of earth lay bare before us. It was a workshop of nature still cluttered with the raw beginnings of world-making. Here and there great dikes of primordial rock had thrust themselves up from the bowels of earth, straight through the molten surface–ferment that had evidently cooled only the other day. It was all unreal and unbelievable. Looking upward, far above us (in reality beneath us) floated the cloud-battle of Ukiukiu and Naulu. And higher up the slope of the seeming abyss, above the cloud-battle, in the air and sky, hung the islands of Lanai and Molokai. Across the crater, to the southeast, still apparently looking upward, we saw ascending, first, the turquoise sea, then the white surf-line of the shore of Hawaii; above that the belt of trade-clouds, and next, eighty miles away, rearing their stupendous hulks out of the azure sky, tipped with snow, wreathed with cloud, trembling like a mirage, the peaks of Mauna Kea and Mauna Loa hung poised on the wall of heaven. It is told that long ago, one Maui, the son of Hina, lived on what is now known as West Maui. His mother, Hina, employed her time in the making of kapas. She must have made them at night, for her days were occupied in trying to dry the kapas. Each morning, and all morning, she toiled at spreading them out in the sun. But no sooner were they out, than she began taking them in, in order to have them all under shelter for the night. For know that the days were shorter then than now. Maui watched his mother’s futile toil and felt sorry for her. He decided to do something–oh, no, not to help her hang out and take in the kapas. He was too clever for that. His idea was to make the sun go slower. Perhaps he was the first Hawaiian astronomer. At any rate, he took a series of observations of the sun from various parts of the island. His conclusion was that the sun’s path was directly across Haleakala. Unlike Joshua, he stood in no need of divine assistance. He gathered a huge quantity of coconuts, from the fibre of which he braided a stout cord, and in one end of which he made a noose, even as the cow-boys of Haleakala do to this day. Next he climbed into the House of the Sun and laid in wait. When the sun came tearing along the path, bent on completing its journey in the shortest time possible, the valiant youth threw his lariat around one of the sun’s largest and strongest beams. He made the sun slow down some; also, he broke the beam short off. And he kept on roping and breaking off beams till the sun said it was willing to listen to reason. Maui set forth his terms of peace, which the sun accepted, agreeing to go more slowly thereafter. Wherefore Hina had ample time in which to dry her kapas, and the days are longer than they used to be, which last is quite in accord with the teachings of modern astronomy. We had a lunch of jerked beef and hard poi in a stone corral, used of old time for the night-impounding of cattle being driven across the island. Then we skirted the rim for half a mile and began the descent into the crater. Twenty-five hundred feet beneath lay the floor, and down a steep slope of loose volcanic cinders we dropped, the sure-footed horses slipping and sliding, but always keeping their feet. The black surface of the cinders, when broken by the horses’ hoofs, turned to a yellow ochre dust, virulent in appearance and acid of taste, that arose in clouds. There was a gallop across a level stretch to the mouth of a convenient blow-hole, and then the descent continued in clouds of volcanic dust, winding in and out among cinder-cones, brick-red, old rose, and purplish black of colour. Above us, higher and higher, towered the crater-walls, while we journeyed on across innumerable lava-flows, turning and twisting a devious way among the adamantine billows of a petrified sea. Saw-toothed waves of lava vexed the surface of this weird ocean, while on either hand arose jagged crests and spiracles of fantastic shape. Our way led on past a bottomless pit and along and over the main stream of the latest lava-flow for seven miles. At the lower end of the crater was our camping spot, in a small grove of olapa and kolea trees, tucked away in a corner of the crater at the base of walls that rose perpendicularly fifteen hundred feet. Here was pasturage for the horses, but no water, and first we turned aside and picked our way across a mile of lava to a known water-hole in a crevice in the crater-wall. The water-hole was empty. But on climbing fifty feet up the crevice, a pool was found containing half a dozen barrels of water. A pail was carried up, and soon a steady stream of the precious liquid was running down the rock and filling the lower pool, while the cowboys below were busy fighting the horses back, for there was room for one only to drink at a time. Then it was on to camp at the foot of the wall, up which herds of wild goats scrambled and blatted, while the tent arose to the sound of rifle-firing. Jerked beef, hard poi, and broiled kid were the menu. Over the crest of the crater, just above our heads, rolled a sea of clouds, driven on by Ukiukiu. Though this sea rolled over the crest unceasingly, it never blotted out nor dimmed the moon, for the heat of the crater dissolved the clouds as fast as they rolled in. Through the moonlight, attracted by the camp-fire, came the crater cattle to peer and challenge. They were rolling fat, though they rarely drank water, the morning dew on the grass taking its place. It was because of this dew that the tent made a welcome bedchamber, and we fell asleep to the chanting of hulas by the unwearied Hawaiian cowboys, in whose veins, no doubt, ran the blood of Maui, their valiant forebear. The camera cannot do justice to the House of the Sun. The sublimated chemistry of photography may not lie, but it certainly does not tell all the truth. The Koolau Gap may be faithfully reproduced, just as it impinged on the retina of the camera, yet in the resulting picture the gigantic scale of things would be missing. Those walls that seem several hundred feet in height are almost as many thousand; that entering wedge of cloud is a mile and a half wide in the gap itself, while beyond the gap it is a veritable ocean; and that foreground of cinder-cone and volcanic ash, mushy and colourless in appearance, is in truth gorgeous-hued in brick-red, terra-cotta rose, yellow ochre, and purplish black. Also, words are a vain thing and drive to despair. To say that a crater-wall is two thousand feet high is to say just precisely that it is two thousand feet high; but there is a vast deal more to that crater-wall than a mere statistic. The sun is ninety-three millions of miles distant, but to mortal conception the adjoining county is farther away. This frailty of the human brain is hard on the sun. It is likewise hard on the House of the Sun. Haleakala has a message of beauty and wonder for the human soul that cannot be delivered by proxy. Kolikoli is six hours from Kahului; Kahului is a night’s run from Honolulu; Honolulu is six days from San Francisco; and there you are. We climbed the crater-walls, put the horses over impossible places, rolled stones, and shot wild goats. I did not get any goats. I was too busy rolling stones. One spot in particular I remember, where we started a stone the size of a horse. It began the descent easy enough, rolling over, wobbling, and threatening to stop; but in a few minutes it was soaring through the air two hundred feet at a jump. It grew rapidly smaller until it struck a slight slope of volcanic sand, over which it darted like a startled jackrabbit, kicking up behind it a tiny trail of yellow dust. Stone and dust diminished in size, until some of the party said the stone had stopped. That was because they could not see it any longer. It had vanished into the distance beyond their ken. Others saw it rolling farther on–I know I did; and it is my firm conviction that that stone is still rolling. Our last day in the crater, Ukiukiu gave us a taste of his strength. He smashed Naulu back all along the line, filled the House of the Sun to overflowing with clouds, and drowned us out. Our rain-gauge was a pint cup under a tiny hole in the tent. That last night of storm and rain filled the cup, and there was no way of measuring the water that spilled over into the blankets. With the rain-gauge out of business there was no longer any reason for remaining; so we broke camp in the wet-gray of dawn, and plunged eastward across the lava to the Kaupo Gap. East Maui is nothing more or less than the vast lava stream that flowed long ago through the Kaupo Gap; and down this stream we picked our way from an altitude of six thousand five hundred feet to the sea. This was a day’s work in itself for the horses; but never were there such horses. Safe in the bad places, never rushing, never losing their heads, as soon as they found a trail wide and smooth enough to run on, they ran. There was no stopping them until the trail became bad again, and then they stopped of themselves. Continuously, for days, they had performed the hardest kind of work, and fed most of the time on grass foraged by themselves at night while we slept, and yet that day they covered twenty-eight leg-breaking miles and galloped into Hana like a bunch of colts. Also, there were several of them, reared in the dry region on the leeward side of Haleakala, that had never worn shoes in all their lives. Day after day, and all day long, unshod, they had travelled over the sharp lava, with the extra weight of a man on their backs, and their hoofs were in better condition than those of the shod horses. The scenery between Vieiras’s (where the Kaupo Gap empties into the sea) and Lana, which we covered in half a day, is well worth a week or month; but, wildly beautiful as it is, it becomes pale and small in comparison with the wonderland that lies beyond the rubber plantations between Hana and the Honomanu Gulch. Two days were required to cover this marvelous stretch, which lies on the windward side of Haleakala. The people who dwell there call it the “ditch country,” an unprepossessing name, but it has no other. Nobody else ever comes there. Nobody else knows anything about it. With the exception of a handful of men, whom business has brought there, nobody has heard of the ditch country of Maui. Now a ditch is a ditch, assumably muddy, and usually traversing uninteresting and monotonous landscapes. But the Nahiku Ditch is not an ordinary ditch. The windward side of Haleakala is serried by a thousand precipitous gorges, down which rush as many torrents, each torrent of which achieves a score of cascades and waterfalls before it reaches the sea. More rain comes down here than in any other region in the world. In 1904 the year’s downpour was four hundred and twenty inches. Water means sugar, and sugar is the backbone of the territory of Hawaii, wherefore the Nahiku Ditch, which is not a ditch, but a chain of tunnels. The water travels underground, appearing only at intervals to leap a gorge, travelling high in the air on a giddy flume and plunging into and through the opposing mountain. This magnificent waterway is called a “ditch,” and with equal appropriateness can Cleopatra’s barge be called a box-car. There are no carriage roads through the ditch country, and before the ditch was built, or bored, rather, there was no horse-trail. Hundreds of inches of rain annually, on fertile soil, under a tropic sun, means a steaming jungle of vegetation. A man, on foot, cutting his way through, might advance a mile a day, but at the end of a week he would be a wreck, and he would have to crawl hastily back if he wanted to get out before the vegetation overran the passage way he had cut. O’Shaughnessy was the daring engineer who conquered the jungle and the gorges, ran the ditch and made the horse-trail. He built enduringly, in concrete and masonry, and made one of the most remarkable water-farms in the world. Every little runlet and dribble is harvested and conveyed by subterranean channels to the main ditch. But so heavily does it rain at times that countless spillways let the surplus escape to the sea. The horse-trail is not very wide. Like the engineer who built it, it dares anything. Where the ditch plunges through the mountain, it climbs over; and where the ditch leaps a gorge on a flume, the horse-trail takes advantage of the ditch and crosses on top of the flume. That careless trail thinks nothing of travelling up or down the faces of precipices. It gouges its narrow way out of the wall, dodging around waterfalls or passing under them where they thunder down in white fury; while straight overhead the wall rises hundreds of feet, and straight beneath it sinks a thousand. And those marvelous mountain horses are as unconcerned as the trail. They fox-trot along it as a matter of course, though the footing is slippery with rain, and they will gallop with their hind feet slipping over the edge if you let them. I advise only those with steady nerves and cool heads to tackle the Nahiku Ditch trail. One of our cowboys was noted as the strongest and bravest on the big ranch. He had ridden mountain horses all his life on the rugged western slopes of Haleakala. He was first in the horse-breaking; and when the others hung back, as a matter of course, he would go in to meet a wild bull in the cattle-pen. He had a reputation. But he had never ridden over the Nahiku Ditch. It was there he lost his reputation. When he faced the first flume, spanning a hair-raising gorge, narrow, without railings, with a bellowing waterfall above, another below, and directly beneath a wild cascade, the air filled with driving spray and rocking to the clamour and rush of sound and motion–well, that cowboy dismounted from his horse, explained briefly that he had a wife and two children, and crossed over on foot, leading the horse behind him. The only relief from the flumes was the precipices; and the only relief from the precipices was the flumes, except where the ditch was far under ground, in which case we crossed one horse and rider at a time, on primitive log-bridges that swayed and teetered and threatened to carry away. I confess that at first I rode such places with my feet loose in the stirrups, and that on the sheer walls I saw to it, by a definite, conscious act of will, that the foot in the outside stirrup, overhanging the thousand feet of fall, was exceedingly loose. I say “at first”; for, as in the crater itself we quickly lost our conception of magnitude, so, on the Nahiku Ditch, we quickly lost our apprehension of depth. The ceaseless iteration of height and depth produced a state of consciousness in which height and depth were accepted as the ordinary conditions of existence; and from the horse’s back to look sheer down four hundred or five hundred feet became quite commonplace and non-productive of thrills. And as carelessly as the trail and the horses, we swung along the dizzy heights and ducked around or through the waterfalls. And such a ride! Falling water was everywhere. We rode above the clouds, under the clouds, and through the clouds! and every now and then a shaft of sunshine penetrated like a search-light to the depths yawning beneath us, or flashed upon some pinnacle of the crater-rim thousands of feet above. At every turn of the trail a waterfall or a dozen waterfalls, leaping hundreds of feet through the air, burst upon our vision. At our first night’s camp, in the Keanae Gulch, we counted thirty-two waterfalls from a single viewpoint. The vegetation ran riot over that wild land. There were forests of koa and kolea trees, and candlenut trees; and then there were the trees called ohia-ai, which bore red mountain apples, mellow and juicy and most excellent to eat. Wild bananas grew everywhere, clinging to the sides of the gorges, and, overborne by their great bunches of ripe fruit, falling across the trail and blocking the way. And over the forest surged a sea of green life, the climbers of a thousand varieties, some that floated airily, in lacelike filaments, from the tallest branches others that coiled and wound about the trees like huge serpents; and one, the ei-ei, that was for all the world like a climbing palm, swinging on a thick stem from branch to branch and tree to tree and throttling the supports whereby it climbed. Through the sea of green, lofty tree-ferns thrust their great delicate fronds, and the lehua flaunted its scarlet blossoms. Underneath the climbers, in no less profusion, grew the warm-coloured, strangely-marked plants that in the United States one is accustomed to seeing preciously conserved in hot-houses. In fact, the ditch country of Maui is nothing more nor less than a huge conservatory. Every familiar variety of fern flourishes, and more varieties that are unfamiliar, from the tiniest maidenhair to the gross and voracious staghorn, the latter the terror of the woodsmen, interlacing with itself in tangled masses five or six feet deep and covering acres. Never was there such a ride. For two days it lasted, when we emerged into rolling country, and, along an actual wagon-road, came home to the ranch at a gallop. I know it was cruel to gallop the horses after such a long, hard journey; but we blistered our hands in vain effort to hold them in. That’s the sort of horses they grow on Haleakala. At the ranch there was great festival of cattle- driving, branding, and horse-breaking. Overhead Ukiukiu and Naulu battled valiantly, and far above, in the sunshine, towered the mighty summit of Haleakala. 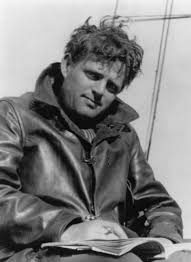 The works of Jack London and other American journalists are now freely available at The Archive of American Journalism.